South America is a great surf destination for pros as well as beginners. Both coastlines offer solid surf conditions. West coast with the world’s longest left wave - Chicama is powered up by strong SW swells from South Pacific. Waves on the east shore are smaller, but regular and extremely fun. LUEX crew has visited South America and we can help YOU find a perfect surf spot for YOUR budget and YOUR ability level. Just e-mail us! The words Latin America conjure up 1000 images of fascinating and alluring color and culture for most people – Brazilian carnivals, Peruvian Inca ruins, the majestic Andes mountain range, South American Indian mysticism, the mighty Amazon rainforest and unique flora and fauna found nowhere else on Earth. It is also home to some truly epic surf, not surprising really when you consider the thousands of miles of coastline lapped by the waters of both the Atlantic and the Pacific Ocean. 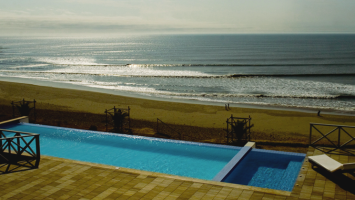 South America surf trips offer up a mouthwatering menu of destinations which include Brazil, Peru, Ecuador and Chile. 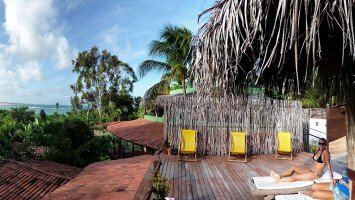 Here there are options for everyone depending on what your idea of holiday heaven is – from relaxation and retreat to something more lively and vibrant. 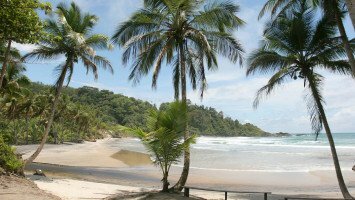 Do you like the idea of tucking yourself away somewhere secluded where the only sounds you will hear are birdsong, the call of the surf and the breeze in the coconut palms? No problem – we have those and to that you can add the chance of riding uncrowded and even empty waves. Or perhaps you like the idea of immersing yourself into a beach life vibe where you can sample the legendary Brazilian nightlife once the sun sets? Consider it done – plenty on offer in that category. Surfing in South America can mean very many different things as you might expect from such a vast area. Water temperatures range from boardshort warm to 4/3 mm suit necessary and from fun and playful to truly gigantic, on a range of reefs, points, beachbreaks, river-mouths and sand bars. Even within the same country, surf regions and spots will vary considerably with regard to optimum swell, wind and tide while seasons can also be highly variable. Peru's predominantly SSW facing coast, with beach, reef and point breaks, makes it open to long distance Roaring Forties produced swell from March to October while December to March can also have northerly swell producing good conditions but with less consistency. Peru is home to Chicama, the world's longest left, which if locals are to be believed can and has been ridden for all of its 2.2 km length. Whether or not this is true, there is no doubt that this wave is super consistent, conditions are almost always off-shore, it frequently offers rides of 500m or more and is sometimes blissfully empty. Brazil's 7000+ kms of Atlantic coast has a choice of ESE or NNE facing coasts with the former working best from November to February and the latter from May to September. The island of Santa Catarina, an ASP World Tour venue, is considered the island's best surf with a 225° swell window and consistent year round wave riding possibilities. Chile offers low crowd factors on world-class breaks with its all-year waves and big, powerful surf created from a very sudden land drop off. Chile is home to left-hander Punta de Lobos, Latin America's most famous point and annual venue for the Big Wave World Tour event. Little Ecuador has uncrowded, warm tropical surf, consistent waves from November to May on its mainly west-facing coast and a range of beachbreak, reefs and points. 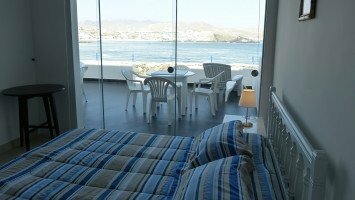 Accommodation options with South American surf trips are pretty diverse. You might find yourself perched on a Chilean hillside overlooking the ocean or you could find yourself planted bang smack in front of the entire world's longest left at Chicama in Peru. Room types range from shared dorms to perfectly private villa bedrooms for larger groups or families. Whatever your party size and make-up and budget there is something to suit you here. 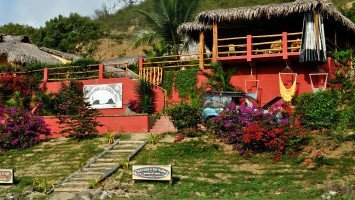 Our South American surf trip options come mostly in the form of resorts and surf camps with most offering a huge menu of services and facilities to keep you smiling when you're not wave riding – from wine tasting to whale watching and from horse riding to hammock time. Wave riders of every level will find something ideal no matter whether you are brand new to surfing or you are of pro standard efficiency. 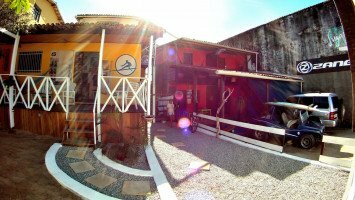 Coaching is offered by all our South American surf operators with expert tuition for beginners upwards. Also, guiding and spot transfer are almost universally offered – perfect for surfers who like to get adventurous and go exploring with the chance of a different break every day and the guaranteed result of always being wherever the best wave is. 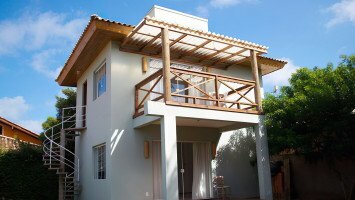 Party seekers will love the Brazilian vibe while surf camps are popular with budget conscious solo travelers and groups. 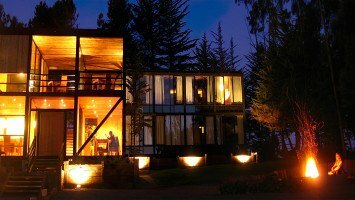 Most of the options in the South American surf trip category fall in the medium range price bracket, attracting couples and families and there is even some luxury standard choice for those wanting to up their holiday comfort levels. All things are possible with regard to packages offered, with a wide range of combinations for accommodation, meals and extras such as classes and/or guiding. Ready to get wet in some Latin American waves? Well now you can put your hands down and get the ball rolling with a simple call or email to our LUEX team of experts, ready and waiting to lead you to South American surf paradise.....and the chance of surfing with some penguins and a dolphin or two.